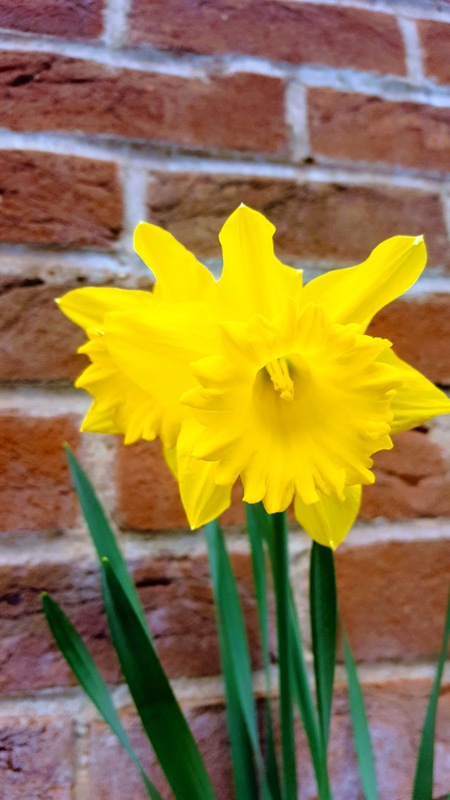 Signs Of Spring: The Wednesday Blog Hop. 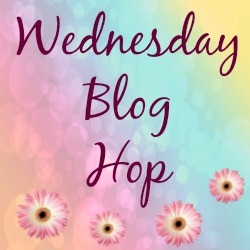 Hello and welcome to this week’s Wednesday Blog Hop. Where you can share any of your photo posts. Wordless or not so Wordless. What pictures have you been snapping away at this week? I was really happy to see some pretty yellow daffodils the other day on our walk into town. The park and woods where Mollie and I go walking are a little boring. No flowers or signs of Spring to be seen anywhere. I am often taking my phone out with me to try and capture some signs of Spring, but nothing. Trouble is I can not take Mollie anywhere else for walks as she is car mad. As soon as she sees a car she barks, twists and turns then try’s to run after them and round them up. That must be the sheepdog instincts coming out of her. I hope she eventually gets fed up of doing this but I can’t see it yet. She is nearly two as well. Can you imagine what the people in their cars who drive by are thinking!? The other day my Daughter and I took a walk into town and we saw these beautiful daffodils on the roadside. Standing there, all bright and beautiful. I could not wait to take pictures. Yeah, Spring is just around the corner. Today I noticed the beautiful pink apple blossoms growing on some trees too. Typical I never had my camera! 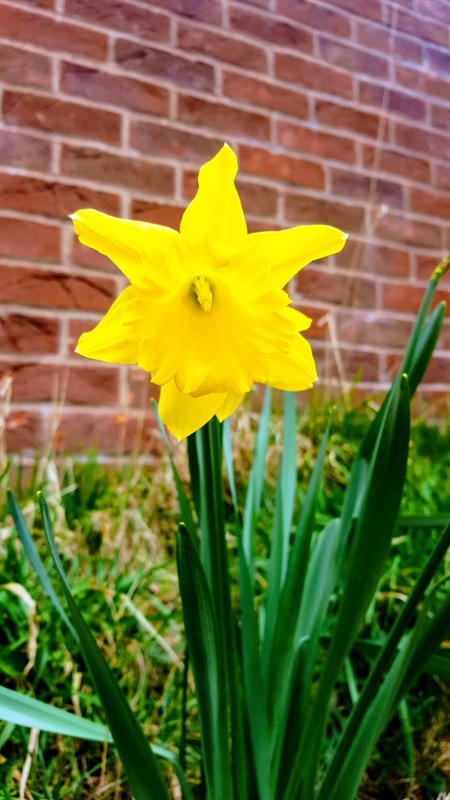 Have you been spotting signs of Spring where you live? Want to join us today? To join in the fun simply add any blog posts up with photos in them. Wordless or not so wordless it is entirely up to you. Please leave a comment here and I will stop by and visit/comment on the post you link up. You can grab a blog hop button from the top of this page if you want to add one into your post or link back to this page to help spread the word of this blog hop. You can also tweet me your posts over at @clairejustine #Wednesdaybloghop. Most of all have fun linking up and hopping around the blog hop. Where you can find some great posts from all around the world. See you again on Friday for The Weekend Blog Hop. This list is no longer available due to old or broken links. Creative Mondays – on a Monday. The Wednesday Blog Hop – on a Wednesday. Welcome To The Weekend Blog Hop – on a Friday. Gluten Free Semolina And Raspberry Layer Cake With Raspberry And Lemon Syrup. How To Make Strawberry Wholegrain Chia Pudding With Orange Roasted Strawberries. A Muddy Walk In Bakewell. 13/03/2017 Creative Mondays Blog hop. "Gluten Free Semolina And Raspberry Layer Cake With Raspberry And Lemon Syrup"
"How To Make Roasted Cauliflower and Sweet Potato Salad"
No spring here, we're heading into autumn. I love daffodils. All my neighbours have them on their sections. I really enjoy when the bulbs come into bloom. Hehe Steve 🙂 Thanks for stopping by and making me laugh. Do you still have snow Tamar? Funny enough I took all sorts of photos for signs of spring last week and we've since gotten two snowstorms! Oh no, hope it hasn't killed off all the Spring flowers. Beautiful daffodils! Mine are breaking through the ground, but no blooms as yet. I have seen snow drops and our robins are back though. Spring is on its way! Such beauty! We don't have daffodils here. It's too warm, I imagine. Thanks for sharing yours! I'snt spring wonderful, all the bulbs just know when to pop up! Even in the snow, sometimes.Happy Wednesday! Uggh we are buried under snow and ice right now (daffodils and all!). I miss the signs of spring we were getting. I hope it comes back soon! Oh wow, Heather. We have had no snow here this year. Well only a few hours once. Thanks for hosting and have a very nice rest of the week. Beautiful pics. Gorgeous photos. 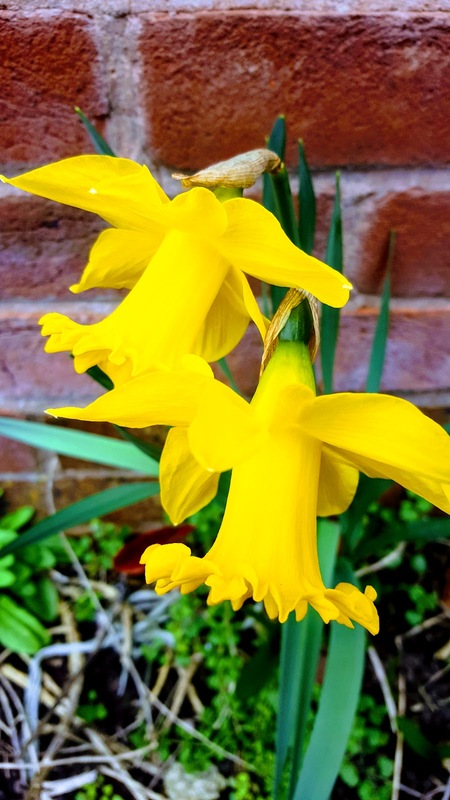 I love daffodils, it finally feels like spring has sprung! Such a pretty capture. We are losing our daffodils here now, but the trees are stepping up to welcome spring to middle Tennessee. Omg we had snow yesterday I feel like spring is never going to come! What a fantastic post. I can really see the daffodils on the way to work each day now. 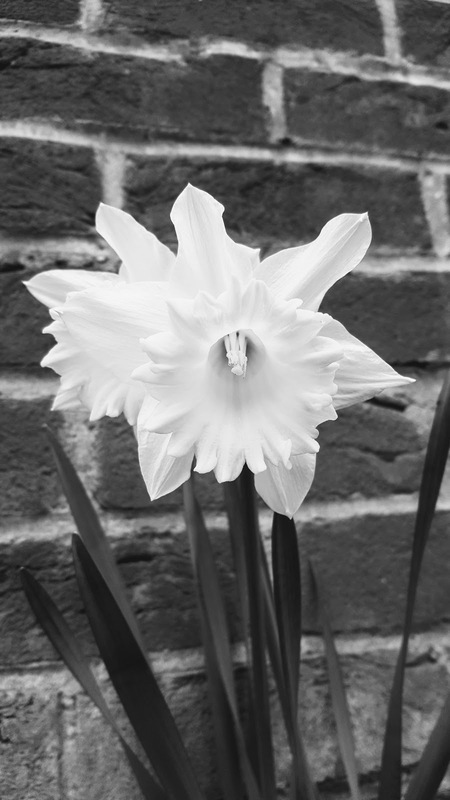 What gorgeous daffodils, I am yet to see signs of spring in my area but hoping the weather continues being awesome. It feels like winter here but next week it is going to feel like spring! can't wait to welcome spring soon!